Every time I write a blog post about embarrassing mistakes I’ve made, I think I’ve captured them all. 1) When I bought my house 20 years ago, I hired a friend to build a tall wooden security fence around the back yard. And my son and I played a LOT of baseball there over the years. Recently, though, a few of the wooden fence boards had to be replaced, including the gate. 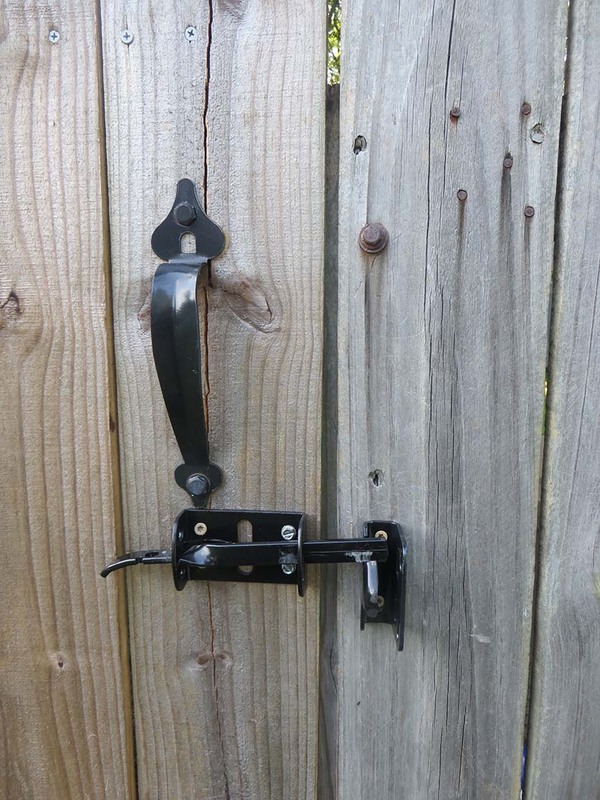 When the weather is humid (which here in South Carolina would be about always), the wood swells and the gate latch won’t slip down into the hook without great effort. Recently, on a sweltering summer day, I went into the backyard right after pulling into the driveway after work — still wearing a skirt and top, and shoes and hose. 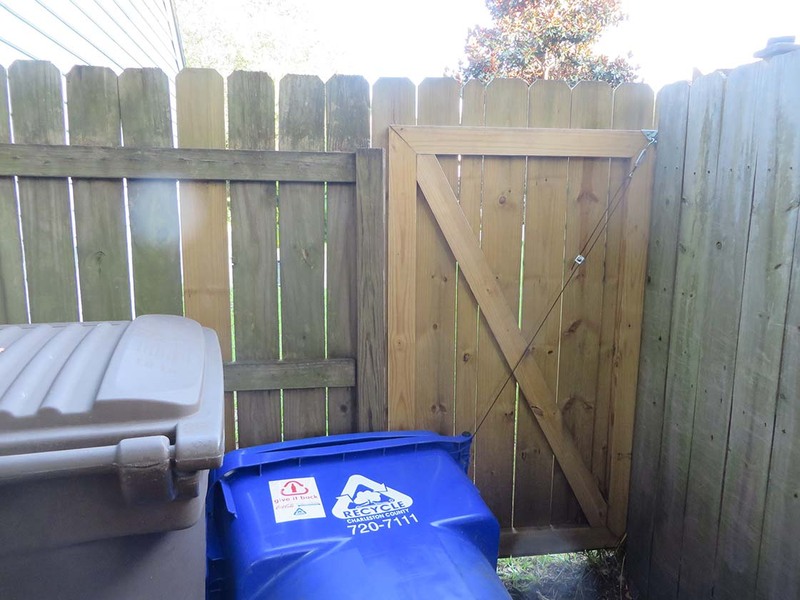 My goal was to pull the jumbo-trashcan-sized recycling bin into the garage to dump recyclables from the overflowing containers outside the kitchen door into it. I grabbed the can by the handle and turned around to drag it through the gate door when I heard the unmistakable sound of the latch lowering into the groove — by itself — on the outside of the gate door. I forgot to mention that there’s no way to get out of the backyard from inside the gate because the only latch is on the outside facing the street. I’d noticed when I got out of the car that day that none of the neighbors were out and nobody was walking down the street. The last time I attempted a trick like that in my work clothes, I stood on a bucket in the garage to reach something, slipped off and broke my foot — resulting in surgery and being confined to a wheelchair for four months. Thoughts of broken bones went through my head as I slipped off my shoes, hiked up my skirt and clambered up on the can, grasping the fence top with white knuckles to steady myself. I was able, fortunately, to reach the latch and just barely lift it up enough to open the door — and exited the yard with a sheepish look, dragging the recycling can behind me. 2) On a similar note, I crashed into a suitcase on the bedroom floor on a middle-of-the-night trip to the bathroom a month ago with such force that it knocked me head-first onto the bed next to it. (Thank goodness it was there.) My toes kind of hurt the next day at work and when I finally looked, realized one of the toes was broken by Googling “picture of a broken toe” and seeing that all the toes on the screen looked just like mine. There’s really nothing you can do, so I wore sandals for the next few weeks. 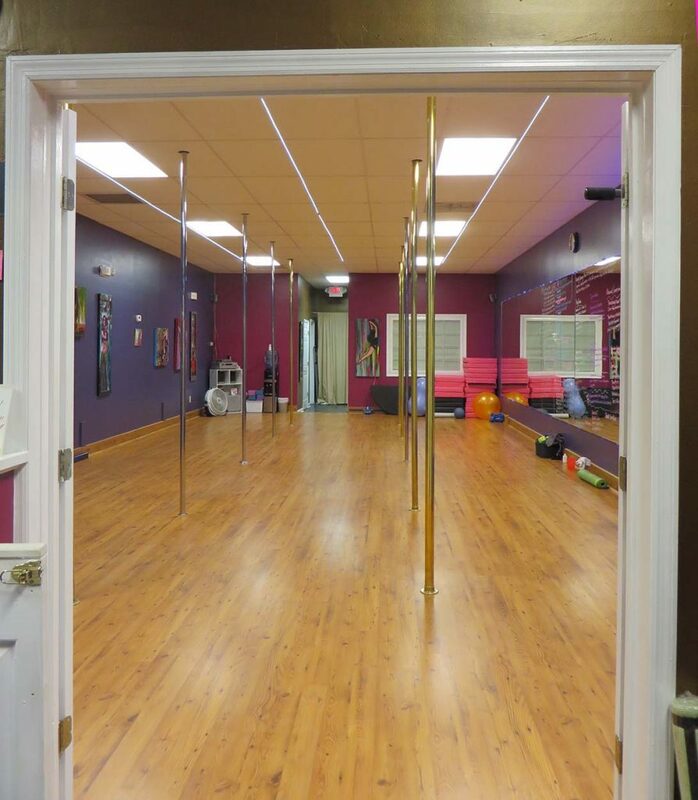 3) Another incident I try to forget happened at a series of Polga (a mixture of pole dancing and yoga) classes I went to for six weeks. Had gone to two or three sessions by then, and realized a woman in it was the mother of one of my son’s high school friends. So, being the” extroverted introvert” I am, I walked up to her and introduced myself. I really wished then that I hadn’t made such a point about introducing myself to the woman. And considered never coming back to the class again. 4) The last “incident” involves the grocery store bathroom. The store — God love them — tries to save electricity by automatically turning the bathroom lights off when nobody is in them. 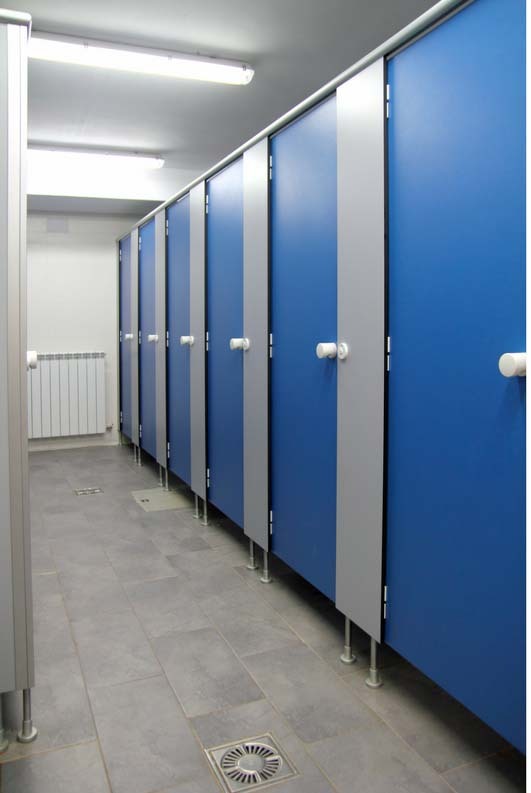 Well… all I can say is I must’ve stayed inside the stall a nanosecond longer than the timer allowed, because the room went completely dark before I was finished. It was pretty tricky getting out of the stall, finding my way to the sink and out the door in the pitch black, too. Please — tell me you do some dumb things, too. Right?! 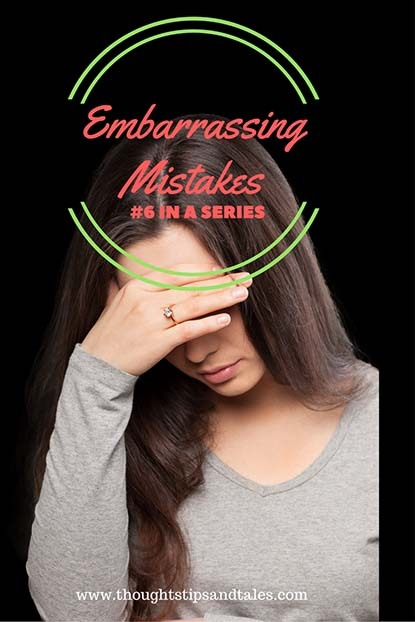 This entry was posted in embarrassing mistakes, embarrassing stories, fun, life, miscellaneous, mistakes and tagged embarrassing mistakes, embarrassing stories, farting in yoga class, goofs, mistakes, stuck in dark bathroom. Bookmark the permalink. You have the best stories! They always make me laugh out loud. Thanks. I have to admit they make me laugh, too — so dumb. I think that it is really great that you can admit these things! Maybe I shouldn’t have — especially the yoga story, but it makes me laugh every time I think about it. I could see you telling these kinds of stories, too! Too funny! Except for the broken foot yikes! 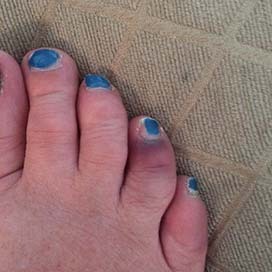 And that toe – ouch! We all have these stories but not as brave as you to tell them. lol thx for the morning chuckle!